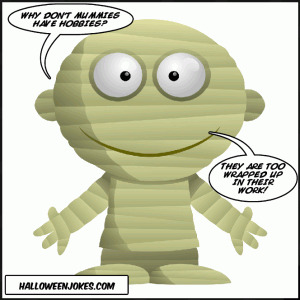 Why don't mummies have hobbies? They are too wrapped up in their work! Why don't mummies have hobbies? They are too wrapped up in their work!